Ready to find out more about a furniture restoration franchise? Making a career change is a big decision, especially when it means becoming your own boss. You’ve already begun the process by requesting this information and reading what Furniture Medic has to offer. Naturally, we don’t expect you to make the emotional and financial commitment needed to become a Furniture Medic franchisee without learning more. We encourage you to contact our franchise sales team. We encourage you to make direct contact with us so that we can answer any questions you may have and provide you with additional information about Furniture Medic. We feel it’s important we meet personally and invite you to join a Discovery Day. The Discovery Day is a one to one meeting held at ServiceMaster House with our Head of Franchising. 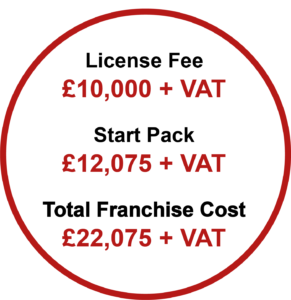 This gives you the opportunity to learn more about business ownership and what to expect from a franchise including the markets we serve and the services we provide. We’ll also outline our training, business development and marketing programmes. You will have the opportunity to meet with those who will be involved in preparing you to become a Furniture Medic business owner. You will take away with you details to enable you to evaluate the franchise fully, telephone numbers of existing franchises and the answers to any questions you may have brought up. We encourage you to research this, or in fact any franchise you commit to, thoroughly. This is your day for learning and inspection and not a day for commitments or decisions. We simply encourage you to reflect and review the option further. We will only benefit from your growth; your success is our success. This is the basis that has provided ServiceMaster with consistent solid growth for nearly 60 years in the UK and has provided the dream of self-employment for hundreds of people, giving job satisfaction, security of work and equity growth in their own business.